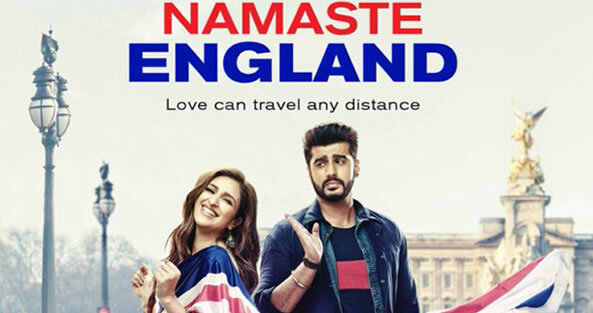 Namaste England is a 2018 Bollywood romantic comedy film directed and co-produced by Vipul Amrutlal Shah. The film is the sequel to 2007 film Namastey London. 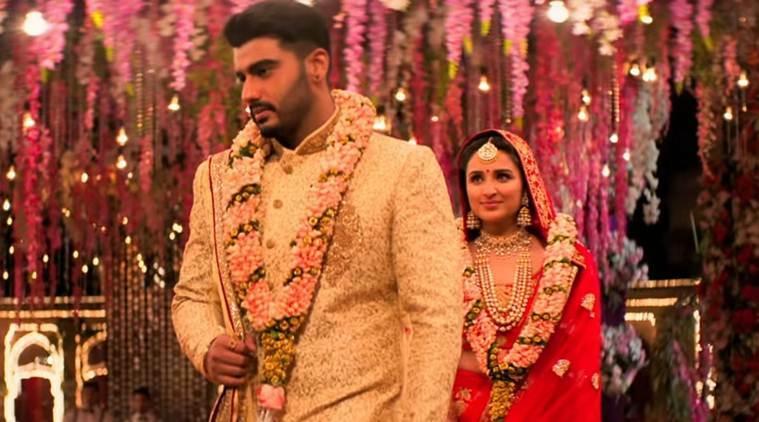 The film stars Parineeti Chopra and Arjun Kapoor in lead roles besides Aditya Seal and Alankrita Sahai in supporting roles. Plot: Param (Arjun Kapoor), a young guy studied from an agricultural university and is interested in farming lives in a small village of Punjab. He is a fun loving guy with a caring nature. 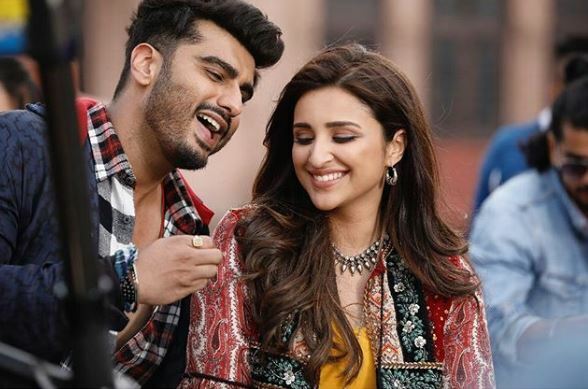 During Dusshera, he goes to see Visarjan with his friends where he happens upon Jasmeet (Parineeti Chopra) and falls for her. Jasmeet is a young, ambitious and educated girl. But she can't work as her grandfather and elder brother are against it. According to them, the duty of a woman is to get married, give birth to children and raise them well. Jasmeet can't go against their decision but still dreams to be independent, to get a job and marry a guy who is caring and can understand her well. After their first meeting, Param and Jasmit meet several times at several occasions. Jasmeet begins to like Param. To get close to her, Param makes a plan and asks one of his friends to get married to one of Jasmeet's friends. At the time of the wedding, Param and Jasmeet spend time together and get to know each other. After several meetings, they express their love for each other. Param helps Jasmeet to work in a jewellery shop in the city thrice a week. But soon, her grandfather finds out about this and begins to search for a suitable match for her. Param convinces his father to send a marriage proposal to Jasmeet's family. Jasmeet's grandpa happily agrees but on a condition. He requests Param's father that Jasmeet should not work after marriage. Param asks his friend Gurpreet to approve his visa as he wants to go honeymoon in Switzerland. Soon they get married but during the wedding ceremony, Gurpreet misbehaves with Param's father. Param slaps him and insults him in front of everyone. Gurpreet is humiliated and vows to make sure that Param never gets a visa. One year later, they're still trying to get a visa but fail. Jasmeet expresses her extreme desire to settle down in London, England. She meets her school friend Harpreet who lives in London. She gives Jasmeet the address of an illegal immigrant officer (Satish Kaushik) who can help them to reach London. Param meets him and he makes a weird offer to Param and he angrily leaves the place. Param reveals to Jasmeet that the officer suggested him to get married to a British citizen to get visa. After that he can remarry to Jasmeet and can settle down in London. Hearing this, Jasmeet immediately goes there with him and tells the officer that she is ready for it. Param gets shocked hearing this and refuses. Jasmeeet tries to make him understand but in vain. Param then goes to Gurpreet and tells him he is ready to apologize in front of everyone. Gurpreet says he forgave Param but Param's father has to apologize to him. Param doesn't agree. 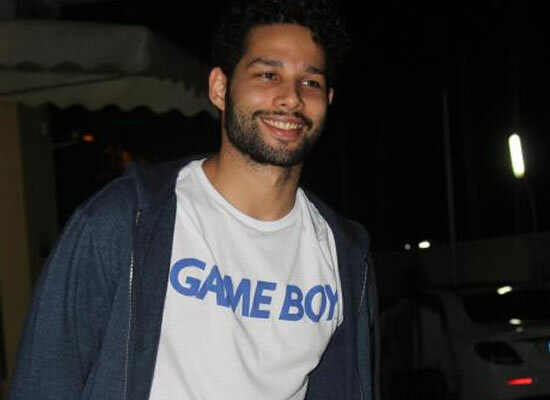 Soon the officer informs Jasmeet that he has a client, Sam (Aditya Seal) who has a British citizenship and if she marries him, she can get a citizenship. He also tells her to hide her marital status from Sam. She meets Sam and he tells her that he has to marry an Indian girl to make his grandpa happy who is counting his last days. She also reveals that she wants to do all this to get a citizenship. They promise each other that they are doing this for their own interest and will not make any other relation. Jasmeet lies to Param that she got a job in London. Param believes her and makes all arrangements. He also convinces her grandpa. At the airport, she reveals the truth to him. He is shocked and Jasmeet goes to London without him. Soon, Param realizes that he cannot live without Jasmeet. He goes to that officer and offers him a lot of money to reach London by any means. The officer makes all arrangements and he reaches London after many struggles. There he meets a Pakistani illegal immigrant (Anil Mange) who offers him a place to stay. He followed Jasmeet and reaches a restaurant. There he introduces himself as Jasmeet's neighbour. He meets Alisha (Alankrita Sahai) who falls for him. He tries to make Jasmeet jealous by getting close to Alisha. But soon he reveals everything to Alisha and asks for her help to get back Jasmeet. He asks her to make fake marry him. He believes Jasmeet will realize her mistake and will happily return to India with him. Alisha agrees to this proposal but puts a condition that if Jasmeet doesn't agree, Param has to marry her. On the other hand, Sam's grandpa passes away and Jasmeet took care of him the whole time. This makes Sam fall for Jasmeet. He expresses his desire to maintain the marriage but Jasmeet refuses. This makes him angry and he says that he will not divorce her. Meanwhile Param continues to make Jasmeet jealous and asks for her help in marriage shopping as a part of his drama. They meet Harpreet again and find out that her husband works as a cleaner. Jasmeet begins to realize her mistake slowly. Meanwhile, Sam gets ready to divorce her and arranges a meeting for her citizenship. Param's wedding is on the same day. On that day before the meeting starts, she tells Sam the truth which he already knew. He tells her to go back to Param. After reaching there, Alisha tells her the truth and she meets Param who is ready to surrender to the Indian Embassy. She tells him she doesn't wish to stay in London anymore and will go back to India with him. At the end of the film, they are reunited.